MultiBrief: Is overprescribing really to blame for antibiotic resistance? The World Health Organization (WHO) released a report last week regarding antimicrobial resistance and how it's being found in every part of the world. "The capacity to treat serious infections is becoming less all over the world," says Dr. Keiji Fukuda, assistant director-general for health security at the WHO. "This is something which is occurring in all countries of the world." Antibiotics make up the foundation of our healthcare system, giving us the ability to treat infections of a wide variety that occur all across the globe. According to the WHO, the cause of this resistance is overuse and abuse of antibiotic medications, posing a potential threat for civilization as more diseases become drug resistant. However, antibiotics are only available with a prescription, and it's no secret they have become harder to receive in the past 10 years due to possibilities such as this. Yet more drug-resistant diseases have been popping up — whooping cough, gonorrhea and TB, just to name a few. Is overprescribing really at fault? Or are there other factors to consider? 7.7 billion pounds of antibiotics were sold for human consumption to treat illnesses in the U.S. in 2011. While that seems like an incredibly large number, it only accounts for 20 percent of the antibiotics sold in the U.S. that year. The other 80 percent were sold for meat and poultry production at 29.9 billion pounds. Basically, the meat production industry uses four-fifths of the antibiotics produced in the U.S. each year, yet the WHO is blaming drug-resistant diseases on overprescribing and the abuse of medications. Livestock have to be fed a steady flow of medicine due to their confinements. These animals often live close together living in their own waste, which then gets into their food and causes wounds to become infected. Chickens do not fare much better. An excellent short video (warning: contains some graphic content) that portrays how chickens are farmed and how milk is collected from cattle shows exactly why antibiotics are necessary in our meat. While antibiotics are given to treat illnesses, they are also given for a number of other reasons. The meat and poultry industry has found that feeding livestock and chickens antibiotics actually makes them gain weight and grow faster, and scientists think they have determined the reason why. Because of these antibiotics, we are now seeing a spike in drug-resistant diseases that has been documented over the past six years. Regarding a recent outbreak of salmonella found on ground turkey, about 78 percent was resistant to at least one antibiotic, and 50 percent of the bacteria were resistant to three or more. In chicken breasts, about 75 percent of salmonella found was resistant to at least one antibiotic and about 12 percent of all retail chicken and ground turkey was infected with salmonella. There was also an increase in resistance to tetracycline, not the strongest antibiotic but used to treat human illnesses. Roughly, "95 percent of chicken products were contaminated with Campylobacter, and nearly half of those bacteria were resistant to tetracycline." All of these instances have increased noticeably since 2010. According to the CDC, about 50 percent of the antibiotics prescribed to patients are unnecessary, which is roughly 3.35 billion pounds per year, compared to the 29.9 billion used by the agricultural industry which, again, counts for about 80 percent. However, even if you cut out the antibiotics humans don't use for themselves, the number is still above 70 percent. Basic scientific and medical knowledge of bacteriology and infectious disease proves that one specific antibiotic can promote resistance to other types of antibiotics. That same gene can encode resistance to multiple drugs, or two genes — each encoding resistance to a different drug — may be linked, according to Robert Lawrence, the Director of the Center for a Livable Future at the Johns Hopkins Bloomberg School of Public Health. But that's not all. According to Martha Rosenburg, an award-winning writer who covers on health affairs for The Huffington Post, "Each week the USDA's Food Safety and Inspection Service (FSIS) finds dangerous antibiotic levels in animals that include penicillin, neomycin and 'sulfa' and 'cipro' drugs, many from 'repeat violators.' Excessive levels are also found of risky antibiotics like tilmicosin, whose label tells the farmer, 'Not for human use. Injection of this drug in humans has been associated with fatalities.'" But that's not the only study that's come out against antibiotics. According to Richard Schiffman, a study published in the Journal of Obesity found a strong correlation between exposure to antibiotics in childhood and later obesity. The WHO may be correct in its statistics that say 50 percent of antibiotics are overprescribed by doctors, but we also cannot ignore this evidence regarding antibiotics in livestock and poultry, especially since we don't know how much gets left in the meat when it's consumed by a person. 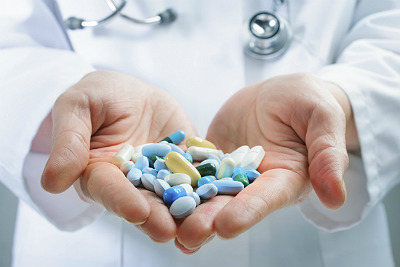 It has been proven that drug-resistant diseases are becoming more prevalent and more volatile. If that is creating a build-up in humans then the WHO is right, and we have a problem on our hands. An easy solution to this problem would be to eliminate antibiotics in meat, unless the animals are ill. However, this would require industries to change their standards of care, and it would change the amount of product they could put out, as the animals would no longer become so fat so quickly. Adjusting standards would take enormous change, and with all the evidence that's easily found on the Internet, people must make the decision on whether it's worth it to change. Lauren Swan is a content editor for MultiBriefs. Before her start with MultiView, Lauren interned for Sen. Bill Nelson (D-Fla.). She received a Bachelor of Arts in editing, writing and media from Florida State University. During her time at FSU, she concentrated her studies and writing profession in the fields of biology, chemistry and politics.